the mare pacing, grazing, pacing. Two men watching. No words. who nods back his reassurance. one small foot, then another. 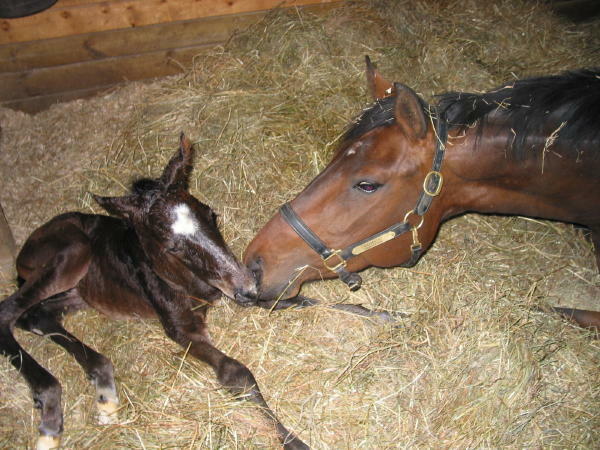 the foal born, the mare resting. Khyert beside his king, his heart full. A night worth a month of days. Poet's Notes: This is part of "The Sign of the Dragon," my epic fantasy in verse. I wrote it after completing a grim batch of poems about battle and other dark topics, and it made me happy to think instead about a starlit night and a moment whose magic is not rooted in fantasy. More poems from "The Sign of the Dragon" may be read at www.thesignofthedragon.com.